Custom name rings have been in style for a long time. People have as many reasons for wearing them as they do experiences in their lives. So let’s explore some creative ways to use name rings, and where these ideas came from. People have worn jewelry, gotten tattoos, and used other self-adornments for centuries. Sometimes it’s an impulse buy — they saw it, they liked (at times without even knowing why), and they bought it. Other times they have meaning. For example, custom name rings have been around a long time and come in and go out of style, then return. They usually have meaning. 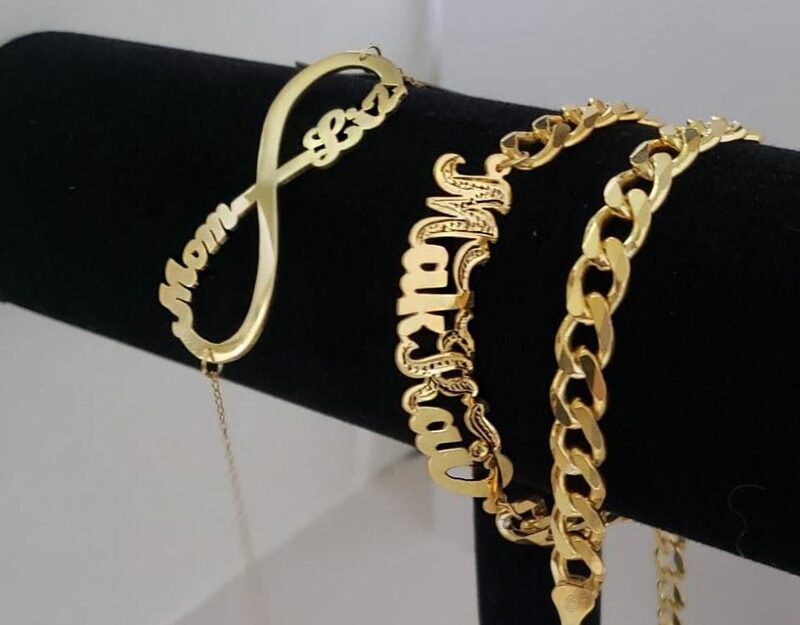 Sometimes they’re the wearers’ name; other times the name of their child, their spouse (or loved one), a parent, or a dear friend, living or passed. But you can be creative with these as well. Perhaps inscribe one word that defines you or your mantra, — like Freedom, Truth –, or a message to self — like Resist (lies, or laziness), or Success. Anything to remind yourself daily of who you love, or what you want to achieve, or be motivated about. 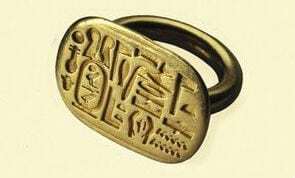 The earliest existing rings that we know of go back to ancient Egypt, found in tombs. While those rings were mostly signet rings (also known as ‘seal tings’), the owners’ names were also engraved on or inside of it. More often, the had the wearers name and title (as the seal) deeply sunk in hieroglyphics on a long oblong bezel. A signet ring served in those days to seal a letter, for example, with the seal being the authentication that it came from the actual author of the message. 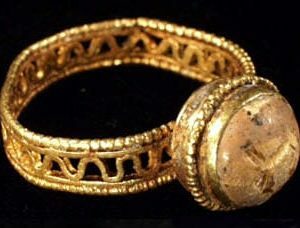 In ancient Greeks wore custom name rings simply for decoration, and during the Hellenistic period they began to use the bezel to embed cabochon stones: these included carnelians, garnets, or vitreous pastes. 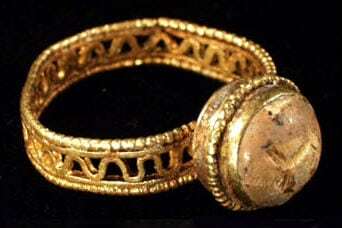 With the rise of the Roman Empire, rings became a symbol of social status. Rings of steel were common, but gold was reserved for certain classes, such as patricians that held high office. The right to wear such rings was eventually extended to the class of knights or equites. And by the 3rd century A.D., it was further extended to almost anyone in society except slaves. As time passed custom rings continued to have significance. During the Middle Ages, the signet ring again came into prominence for religious, legal, and commercial transactions. For example, the Fisherman’s Ring, made of bronze, was used by the Pope to seal papal documents. There were also memorial rings, engraved with the deceased name, date of birth, and even an effigy. There were ‘posy’ rings, which would have engraved a few lines of verse, and ‘occult’ rings; talismans and amulets believed to have magical powers. 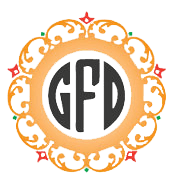 Throughout time rings have been at the center of social culture, and by the 19th century were commonly worn for any and all types of reasons. They were usually made of gold or silver, and to this day are widely popular. So what idea, person or creed do you wish to display? If you use your imagination, you will certainly find the words to have the ring display that is personal and meaningful to you or a loved one. More about the history of rings. 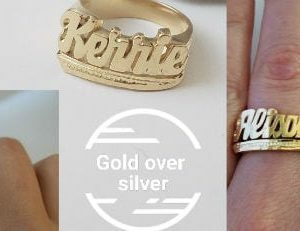 Custom Name Rings to choose from.